These are the books of short stories that are sitting patiently on my TBR shelves, some for longer than others. I figure that they're easy to fit in around summer programs and swim lessons. The Time Traveler's Almanac featuring short stories and portions of stories about time travel, including just about all of the great science-fiction writers ever. Queen Victoria's Book of Spells, a collection of historical fantasy. Unnatural Creatures, sixteen stories about fantastical creatures, curated by Neil himself. Smoke and Mirrors by Neil Gaiman -- one of the couple of books by him that I haven't read yet. The Penguin Book of Victorian Women in Crime which promises to expose me to new Victorian authors, hopefully some who are good. The Mammoth Book of Dickensian Whodunnits and The Mammoth Book of Roaring Twenties Whodunnits which are pretty self-explanatory. The Bloody Chamber by Angela Carter, a collection of her takes on fairy tales. Unexpected Magic by Diana Wynne Jones, which I've read the first five stories of already. I'll also be working through a few ARCs of books that are coming out in June and July. Some of these are pretty hefty so I need to get going soon! 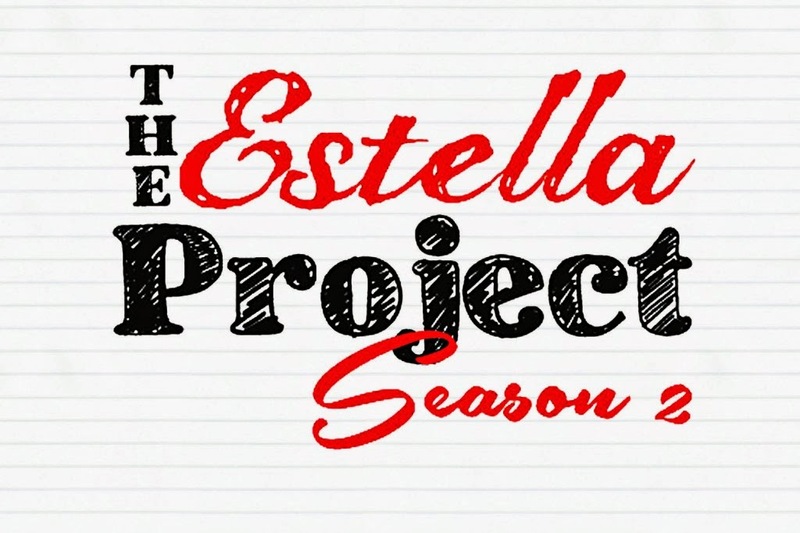 I'm also going to try and read a book or two for The Estella Project, Season 2. The booklist is up and a few possible reads and re-reads are standing out. For each read (up to three), there's an entry to win a nice prize! If you would like to join me for any of these projects or books, please do! I just hope that it's a nice sunny summer so that my lawn dries out and I can lounge on it as often as I like. And yes, I realize that I just listed 24 books to read this summer. I'm aiming high! Fun reading ahead of you!! Smoke and Mirrors is SO GOOD! As is The Bloody Chamber! Loved that one :) Unnatural Creatures is an awesome anthology too :) Sheesh...Z doesn't get out til the 19th? I don't remember going to school that late when I was a kid! I started The Bloody Chamber once but didn't know the story of Bluebeard at the time so wasn't connecting with the first story. Now that I'm better informed, I think it will work for me! And I've been terribly jealous of everyone whose kids have been getting out over the past week or two. We want to be done too! The Time Traveler's Almanac... never heard of that, but now I feel like I need to discover that! I always mean to read more short stories but end up picking up novels instead. Since I had amassed such a great collection, it definitely seemed like a good time to dive in! I am also inspired by reading the great Connie Willis collection that just came out. It reminded me of how great a short story can be. I assume you will be posting your list too so I'm excited to see it! Your list makes me want to add more books to my list!! :-D Queen Victoria's Book of Spells is a book I need to read soon! Are You There God? is a fantastic book! Have you read it before? If you haven't, it'll probably feel a little dated. Holes and Calpurnia Tate are great too. Happy reading. Queen Victoria's Book of Spells is what I chose to read first! I've just finished the intro and it sounds like a lot of thought went into the anthology. I bet I will be recommending it! More than a little jealous that you have an ARC of the next Winspear! My aims for the summer are much, much less ambitious - the goal is literally 'read when you can.' How I long for the days where summer meant having full days off! At the very least, I hope Seattle keeps up the good weather while I'm stuck in the office. I think the 'read when you can' goal is a very acceptable one. I'm lucky to be a stay-at-homer and I know it! And I also hope it will be a beautiful summer. We seem to be off to a good start! Sounds like you have a lot going on! I've heard good things about The Quick and I desperately need to get to A.J. Fikry. My summer plans are to read newly released "summer type" books through mid-July, then tackle some of my TBR list through early Fall. Enjoy! That's a good plan! I think it helps sometimes to do reading in blocks, to get in the mood for a certain type of book and then plow through a few at a time. I hope you get a lot of good books read this summer! YAY to Unexpected Magic. Everard's Ride is in there! I love Everard's Ride! And I really want to re-read The Girl Jones. I love that one. I think Everard's Ride will be new to me. Now I'm excited! Are you reading The Bloody Chamber for Angela Carter week? Which is now? That's what I'm reading Nights In the Circus for, and I'm loving her writing. Personally, I didn't like The Quick so much. It started out great, but the vampires really bogged me down after awhile, lots of people like it, though. I don't know of Estella's Revenge project, so I'm off to see what that's about. It looks like you have a great assortment of books ahead. Here's to iced tea, sunglasses, and good literature! I wasn't quite together enough to be ready for Angela Carter week. :) This is my first book of hers though so I hope a connection is forged for me too. I'm more trepidatious about The Quick after reading a few of the reviews that are out already. I didn't realize it was vampires and I'm not a big fan except for a few rare occasions (Dracula, The Historian) so I guess I'll just have to try it and see. It looks like you've got some great books on your pile! I'm assuming my reading is going to slow down over the next month or so with my move. I was hoping to read a couple of books for Estella, but I need to wait until I get settled to find the books that I'm thinking! I know they are in a box somewhere!